If the enrollees in question do not provide documentation confirming their legal status, they will have their policies terminated. Covered California Executive Director Peter Lee said the undocumented residents are receiving pre-termination notices and have until the end of the month to comply with the order. 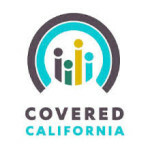 Undocumented Californians qualify for neither Covered California, nor Medi-Cal. State officials estimate that between 2 and 2.5 million undocumented immigrants currently live in California. Of that total, about 1 million are uninsured. Immigrant advocates say the denial of health insurance is putting at risk children who were born in the U.S. and are eligible for coverage. California Covered was never intended to cover undocumented residents, so it should be no big surprise they won’t continue coverage of people who cannot prove they are documented.